In Swans Reflecting Elephants , the swans and the twisted trees are reflected in the lake as elephants. 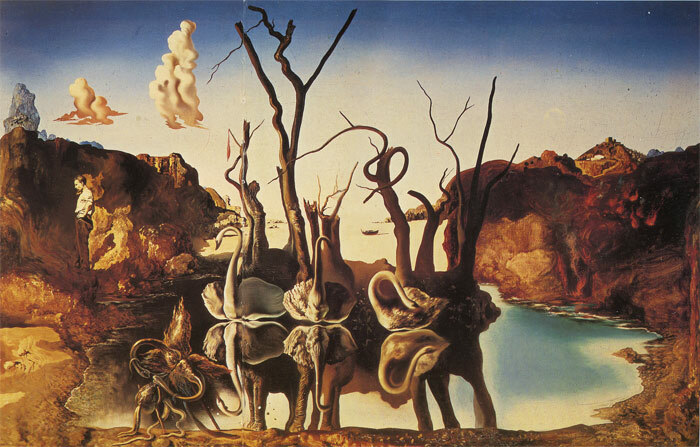 Dali called this technique paranoiac-critical, where hallucination and reality seem to merge. SPECIAL NOTE : The painter will make the reproduction as close to the original oil painting as possible. If you want your painting to alter from this likeness, please email us and " Swans Reflecting Elephants " will be reproduced according to your special requirements.